Banner series riflescopes from Bushnell offer Dusk & Dawn multi-coated lenses for clarity in low and bright light, a fast-focus eyepiece for the clearest view, and a wide-angle field of view for getting on game fast all day long. Fingertip adjustable windage and elevation controls have resettable dials so you spend less time sighting in and more time shooting. Sure grip power change ring allows for fast easy zoom changes. The one-piece tube and spring clip assembly offer strength with enhanced accuracy and reliability. The Banner line includes standard and specialty scopes including models designed for black powder guns, very low light conditions, slug guns, and long range varmint guns. 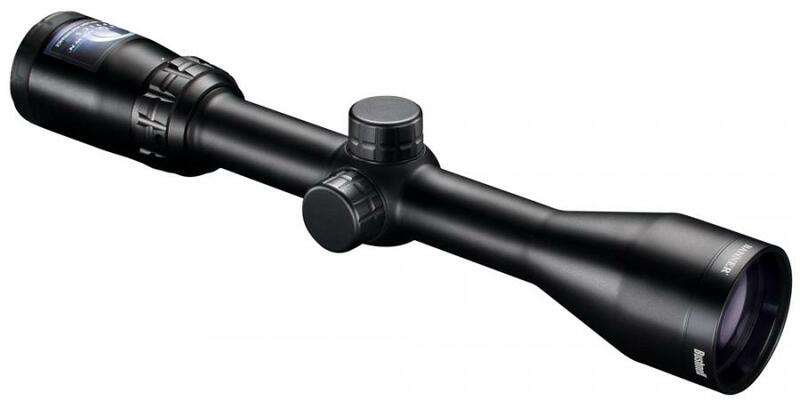 Scopes have a matte satin finish to minimize glare and is 100% waterproof, fogproof and shockproof.